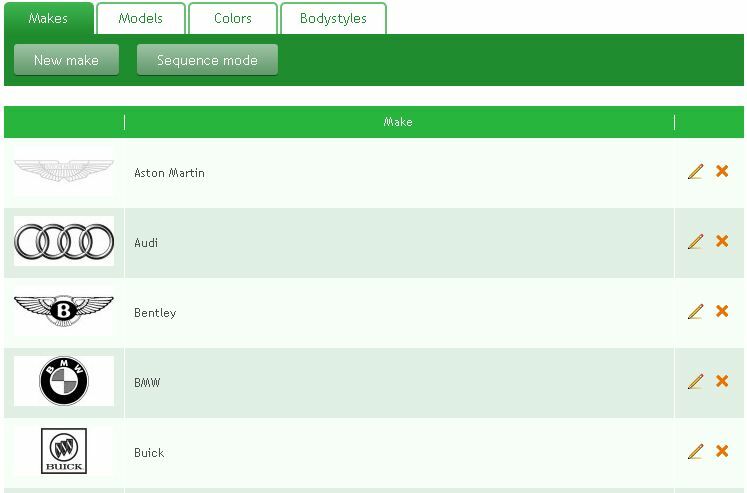 In this section you can edit vehicles makes, models, colors and bodystyles. Makes can be added, edited, removed and re-ordered. Fill in Make name, keyword, upload a logotype and save the changes. Press “Sequence mode” button on top of the page to re-order the items. Drag and drop makes, press “Save sequence” on top of the page to save the changes. Models management is similar to above instuctions. 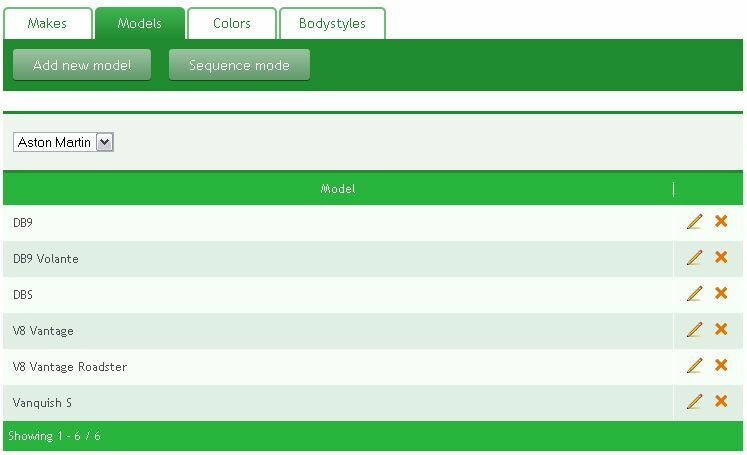 Add new model, edit, remove, re-order and filter options are available here. 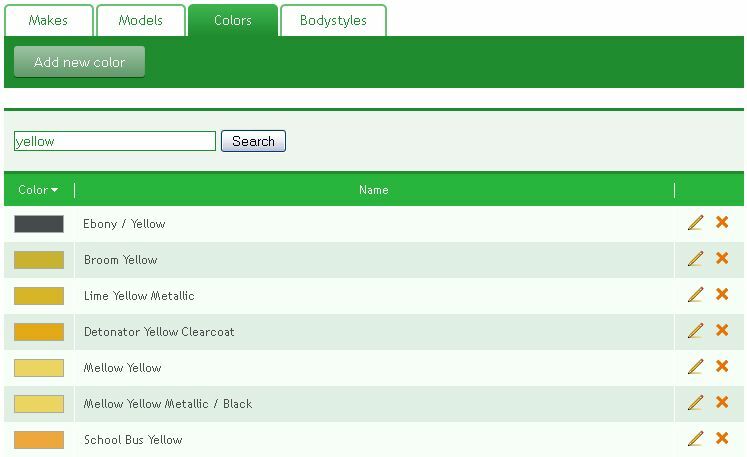 This catalogue of colors will be available in a car listing to specify exterior and interior colors. You can sort, edit and remove existing colors. Use “Add new color” to add a new color – fill in new color name and color #. This is a catalogue of bodystyles. It’s displayed on site front page. 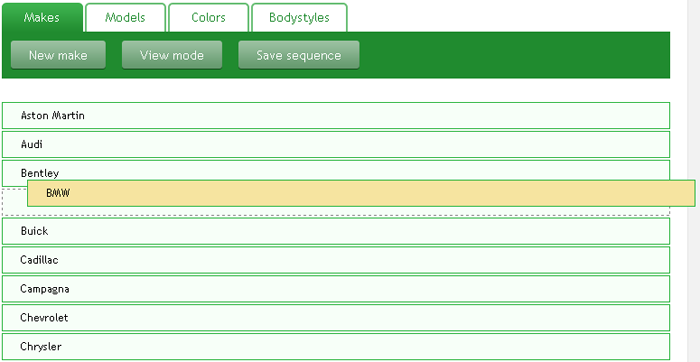 You can add new bodystyles; change sequence, edit and remove existing ones. 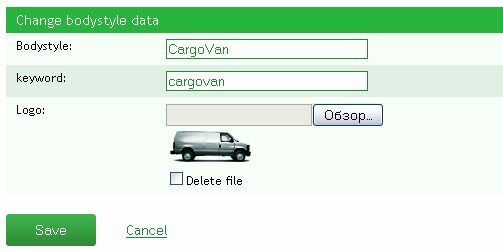 When editing/adding a bodystyle, fill in bodystyle name, keyword and upload an icon.